Boston, MA—The cowardly bombing of innocents here brought out the worst and best human behaviors putting them in the spotlight. We now seem to know what happened in that two young, male Muslim Jihadists used IED bombs against innocent men, women and children near the finish line of the 26-mile race. Despite real danger many fine men and women risked their lives to aid those who had their limbs blown off at the scene. The medical community rallied to save all the lives and limbs they could. The law enforcement community banded together identifying, locating and capturing suspects. We really don’t know the extent of this sleeper cell of terrorists that carried out this horrible act. We may soon learn more from the four surviving suspects taken into custody along with the items and computers seized by police. Terrorism by nature consists of random violent acts against soft targets. Pretend preventive measures like TSA airline passenger frisking can easily be defeated by determined terrorists. The TSA was really nothing more than a jobs program brought in to exploit a crisis. The TSA was and is pure Security Theater. Realistically terrorism can’t be even reduced by government. Fanatics will simply find the right shopping center, movie theater, school, church, sporting event, convention or concert to attack. Think for a moment, how difficult would it be for some twisted freak to enter a busy shopping center before Christmas with a bomb concealed in a Lord & Taylor shopping bag and setting it down near children lined up to visit Santa Claus? As for the worst behavior, it came from the political Left and their news media propaganda organizations. They wasted no time blaming or at least casting suspicion on the Tea Party, NRA and other political conservatives for this evil crime. They were shamelessly exploiting this suffering for purely political purposes. They did the same thing just a few months ago for the Sandyhook school shooting. The people of political right are angry about the seizing of the liberty, freedom and property by Left Wing politicians and the Obama Administration. However if the political Right ever felt the necessity for violence they would target the object of their scorn, not innocent Americans. Expected violence would be directed at government agents such as those attempting to seize constitutionally protected firearms. Perhaps a treasonous politician or two would wind up in Conservative crosshairs. Many members of the political Left are pathetic and hateful bastards operating on pure envy and greed. They see themselves as romantic Robin Hood characters, rather than the Hitlers and Stalins they really are. 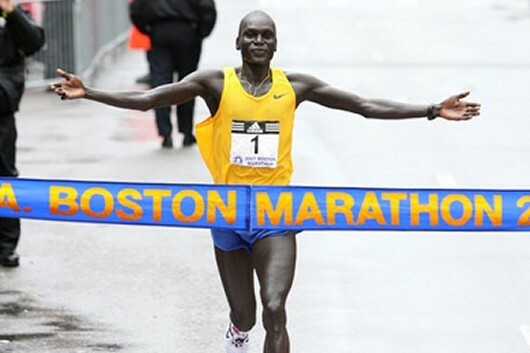 This very sad Boston Marathon Chapter seems to have come to a close. Americans on both sides of the political spectrum need to find common ground and begin to protect each other and their rights. The hate that divides us must end. We need to be better examples to the children and work to improve their educations and overall American productivity. We need to wean Americans off of entitlements and lethargy. We all must work together to reward rather than to punish productivity. Americans should all be entitled to respect for their contributions to society. Those who don’t contribute will never learn how in a welfare Socialist state. That being said we owe it to the disabled to insure their quality of life. As for those injured in the Marathon bombing I’d like our government to guarantee their medical bills covering the uninsured and underinsured. Our intelligence system failed them. Let’s learn tolerance to freedom along with the right of all Americans to self-defense. Lets put envy, greed and class hatred to pasture where it belongs. We need to learn how to protect each other show respect. There is a third bomber Paul, his name is Abdul Rahman Ali Alharbi and he was captured at the scene. Alharbi comes from a long line of terrorists; many of his relatives are on our most wanted list or locked up in Guantánamo Bay. He should never have been allowed in the country but Saudis enjoy “favored visa status” meaning they are not vetted by our State Department and automatically granted visas without question. The Muslim in the White House intends to hand him over to Saudi Arabia where I am sure he will receive a heroes welcome. The Associated Press reported that last Tuesday morning Secretary of State Kerry met with the Saudi Foreign Minister Prince Saud al-Faisal in a closed meeting and the next day Reuters reported President Food Stamps met him in Washington for an unscheduled closed meeting. Let’s face it, there is no way the FBI could have identified those two other killers from those fuzzy video images so quickly. Alharbi probably identified them perhaps in exchange for his own freedom. The cover up is already underway too. That brutally offensive women Napolitano refused to answer questions about Alharbi in Congress last week telling a Representative, “that it’s just not worthy of an answer”. Our country is not safe with these lying idiots in charge. Ask the Israelis how to do terrorist suppression.We are so far behind the eight ball.TSA is a joke and we are not allowed to profile. You are totally right! Law enforcement did an amazing job in Boston. Peo[ple should get off this negative outlook toward police. Most are good folks doing a very difficult and thankless job.